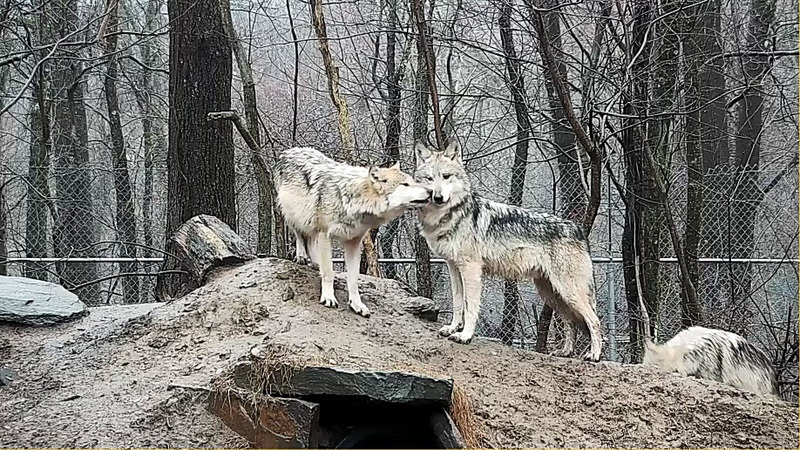 This critically endangered Mexican gray wolf family represents the Wolf Conservation Center’s active participation in an effort to save a species on the brink of extinction. The Mexican gray wolf or “lobo” is the most genetically distinct lineage of wolves in the Western Hemisphere, and one of the most endangered mammals in North America. By the mid-1980s, hunting, trapping, and poisoning caused the extinction of lobos in the wild, with only a handful remaining in captivity. In 1998 the wolves were reintroduced into the wild as part of a federal reintroduction program under the Endangered Species Act. Join the family now via live webcam. Please join us in our mission to protect and preserve wolves – sign up today.